Marti Lee Kennedy, director of the Ashby Center for Complementary Medicine in Berkeley, CA, is a pioneer in the practice of Chinese Medicine in the United States. She graduated from the North American College of Acupuncture in British Columbia in 1972. Marti continued to train post graduation. She traveled throughout Southeast Asia, India and Sri Lanka to study with the great masters of Chinese Medicine. Her post-graduate education included clinical training at the Osaka Medical College in Japan. While Dr. Kennedy’s acupuncture practice in Berkeley treats both men and women, her specialty is in women’s health issues. As an acupuncturist with foundations in Traditional Chinese Medicine, she focuses on infertility, pregnancy and post-pregnancy challenges. 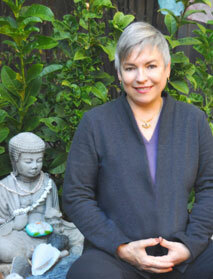 Dr. Kennedy believes that the integration of mind, body and spirit is the most important part of her work. She has helped hundreds of women who were unable to conceive become pregnant and have healthy children. Did you know you can pay for 5 treatments in advance and we'll only charge you for 4? Call today to take advantage of this discount offer!